Easter in Ireland is historically celebrated by attending the Tridentine Mass, but Easter baskets and hunting eggs are also a big part of modern Easter festivities in Ireland. Combining these modern traditions with Irish culture is a great way to design personalized Easter baskets with a fun Irish theme. There are many ways you can incorporate Irish culture into your holiday Easter baskets, but using the official color of Ireland is a great place to start. Easter is a time for renewal, and the holiday coincides with the arrival of Spring. If you consider the onset of seasonal changes and growth, it makes perfect sense to add some green to all of your Easter ideas whether you're Irish or not. If you're not sure where to start, you can't go wrong by using colorful green baskets for Easter in Ireland, or anywhere else that celebrates the holiday of renewal. 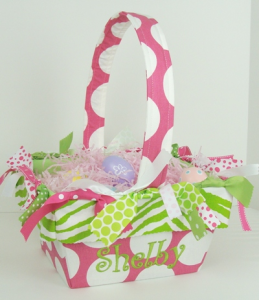 Personalized Easter baskets should contain items that cater to the personal preferences of the recipient. Adding Irish sweets, snacks and nonperishable foods to your Easter gift baskets is a great way to make the basket perfect for close friends or relatives. In addition to candies and snacks, no Easter basket is complete without a few gifts. 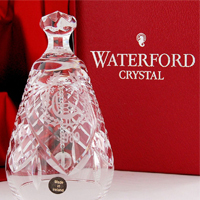 You may choose to give gifts with an Irish theme, but giving gifts that reflect the personal interests of the recipient is ideal. A personalized Easter basket with an Irish theme doesn't have to contain Irish items only. 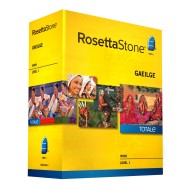 Try combining cultural significance with a personable approach to make your Easter gifts truly special. The wee ones on your gift basket list won't be difficult to please. By adding a few Irish treats and fun gifts you can come up with a personalized Easter basket that any child would love to receive. It's always a good idea to give some healthy snacks, but no child's Easter basket is complete without a few sweet treats as well. There are a variety of healthy snacks, treats and gifts to complete the perfect Irish Easter basket for the kids. Irish Sugar Cookies - Sugar cookies are a traditional Irish treat for children and adults alike. 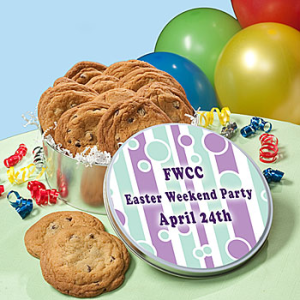 Make your own sugar cookies with an Irish theme, or purchase some for an easy addition to the kid's Easter basket. Celtic Knots - These delicious knots of bread are the Irish equivalent of the American soft pretzel. They are made from white bread dough, egg whites and coarse salt. This traditional Irish snack is smaller than a soft pretzel making it ideal for the kids. Irish Tea Cakes - This sweet treat is made with flour, confectioners' sugar and a mixture of blackcurrant and gooseberry jams. Adding a few of these to your child's Easter basket will satisfy their sweet tooth without giving them commercial junk food. Homemade Blarney Stones - Add a few smooth rocks and a bottle of green acrylic paint to the little one's basket for an authentic Irish crafting activity. The Blarney Stone is said to give the gift of gab. This inexpensive addition will give the kids a way to make their very own custom Blarney Stones. Irish Folklore Coloring Pages - Educate and entertain the children by adding Irish folklore coloring sheets to their Easter basket. They can have fun coloring while learning about historical Irish symbolism. Traditional Irish Toys - Ireland produces an assortment of children's toys, but traditional items include wooden threading boards and miniature wooden animals. If you're trying to find Easter ideas for the adults, healthy Irish foods and a few fun gifts will complete your personalized Easter basket for the grown-ups. Brown Soda Bread - This high fiber bread is both healthy and delicious. It is traditionally prepared using brown flour, quick oats and bran. Irish Whiskey Custard Cake - If the adults on your list love a good Irish whiskey, a heaping piece of Irish whiskey custard cake will satisfy their taste buds without giving them the real thing. Irish Oat Cakes - This simple Irish snack food is made from oats and butter. It's rather bland by itself, but is traditionally served with honey and butter for added flavor. Health and Beauty Items - Whether the recipients of your Irish Easter basket are male or female, health and beauty items like vitamins, soaps and shampoos is an easy way to give them something they can use. Irish Novelties - There is an endless assortment of Irish novelty items that make great additions to adult Easter baskets. T-shirts, coffee mugs and knick-knacks are great choices for the adults. With a little planning and some TLC, you can put together some very impressive Irish Easter baskets for friends and family of all ages. Good luck and happy Easter.